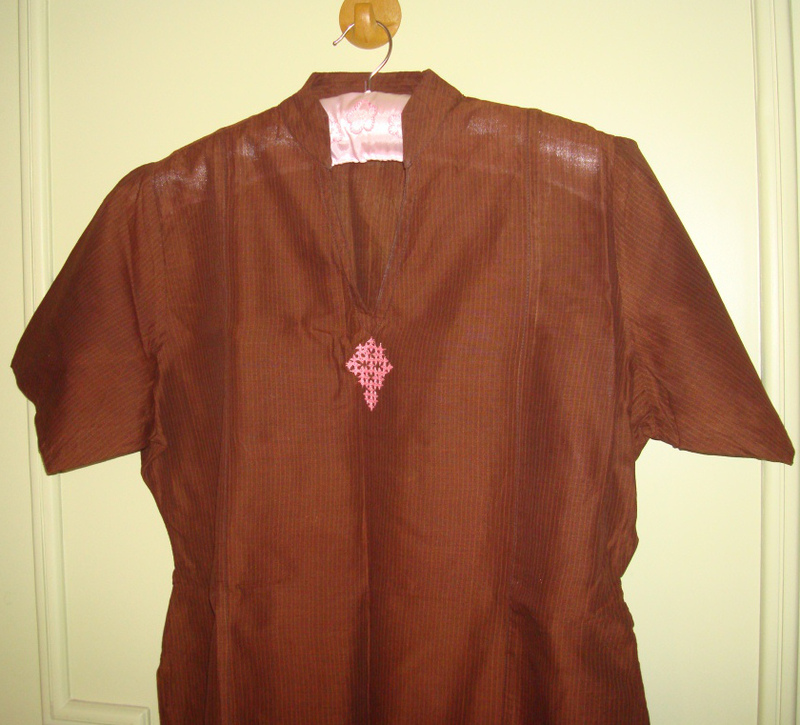 This brown striped tunic is handloom cotton. I liked the neck pattern on this tunic and was hoping for some simple idea to pop up to embroider. Then I bought a jeggings in pink. 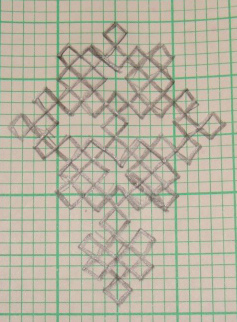 The idea of matching these two, led to a small kutchwork motif design. This was traced on to the tunic below the neck pattern in the centre. 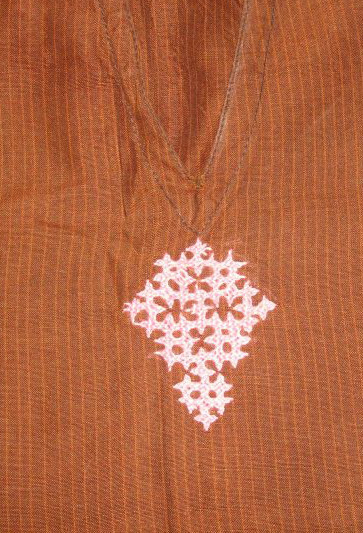 Pink cotton skein was used to embroider the kutch work motif with pointed corners. this motif can be used for woven kutch work too.